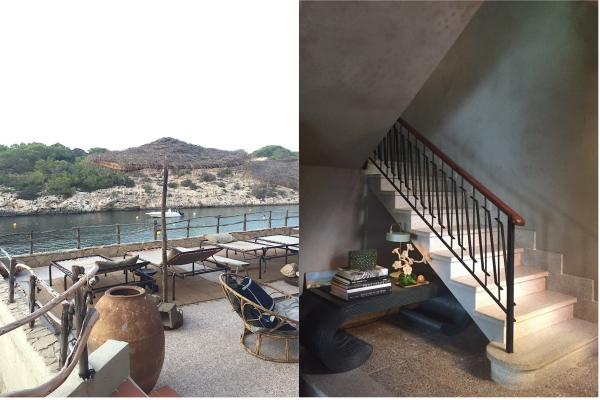 If you follow me on Instagram you might have noticed me and a friend worked on Ibiza this month. 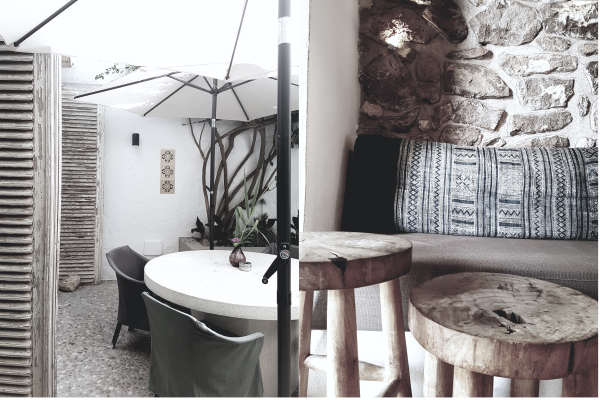 We visited many locations, something we could perfectly combine with visiting some markets, breakfast in cute cafe's, lunch on the beach and drinks in some amazing gardens. 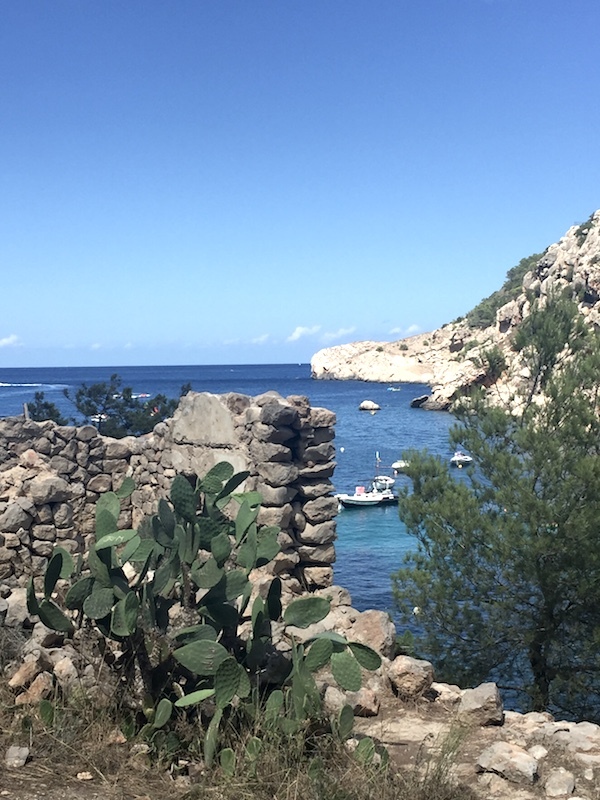 I have spent most Summers of my adult life with our family in Sardegna and Ibiza felt like home to me, I feel best in the south and in the sun, something I really miss, I realized this month. 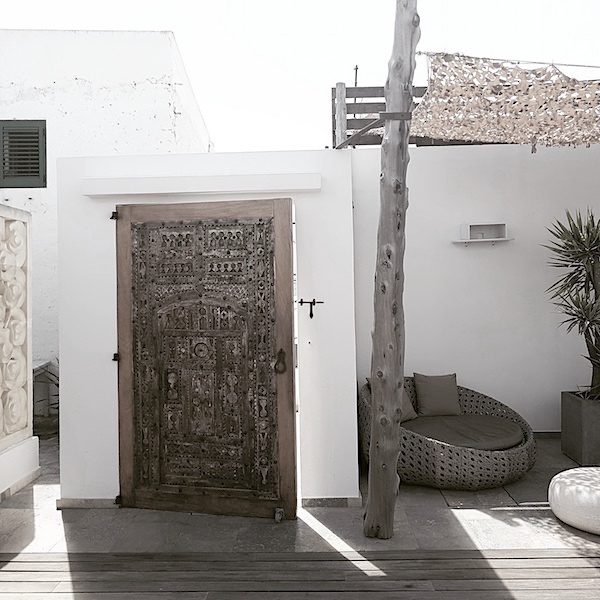 I fell in love with the island and its laid back style and people, can you believe it was my first time visiting Ibiza! A home and a car! probably the two most important things you will need for your stay in Ibiza! We stayed at an old finca in the campo, far away from the party scene, where silence was only broken by the singing cicades and a sky full of stars illuminated the surroundings by night. An amazing place located more or less in the middle of nowhere with only a few coloured stones on the side of the road showing us where to leave the main road. These are the places you can't really reach without a car and to be honest you really would need a car in Ibiza if you want to see more of the island then your hotel and the nearest beach and village. 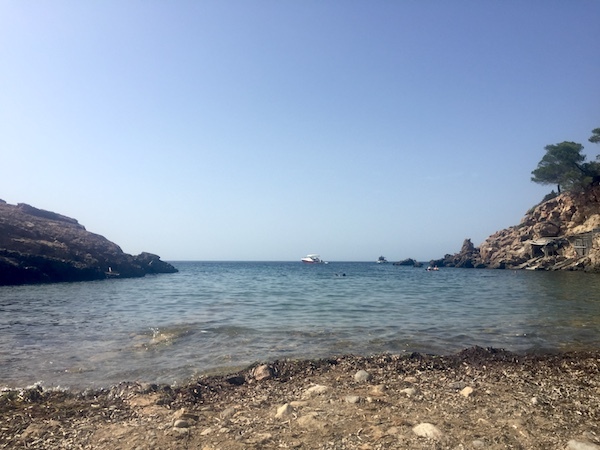 It's a relatively small island and within forty minutes you can drive from north to south and experience the party scene around Ibiza town or go for a more relaxed experience in the north, which was my favourite part. 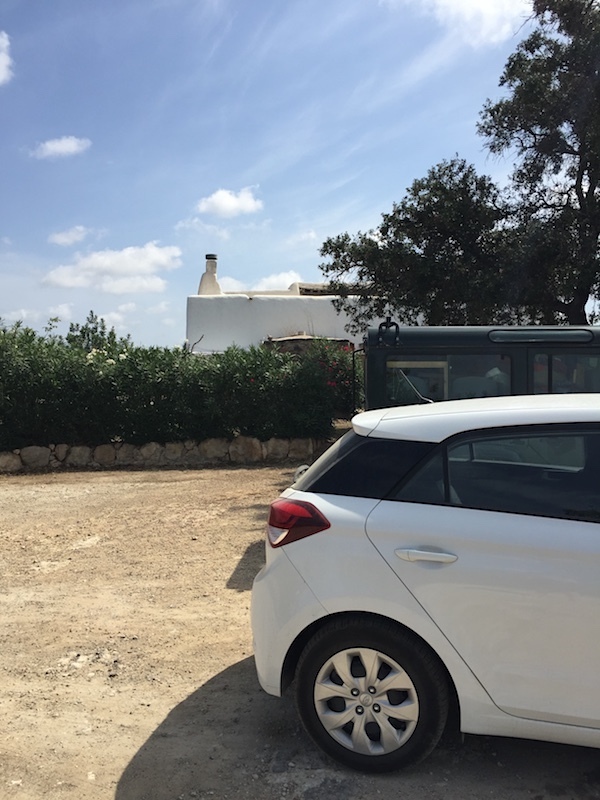 Hiring a car online before your trip is really easy, and once landed at Ibiza airport it took us little time to pick up our car, throw our suitcases in the back and hit the road. The desk to pick up your car is in the same hall as where your luggage arrives. For this trip we hired with Sunny cars and they provided us with an almost new car, completely insured, a filled tank and free to make as many kilometers we wanted. Practically we only had to fill the tank before bringing it back at the airport on the day of departure. Whenever I travel I make a folder in Google maps with my favourite adresses, and places I want to visit, easy when you quickly have to find directions and a great travel 'book' for the next time. 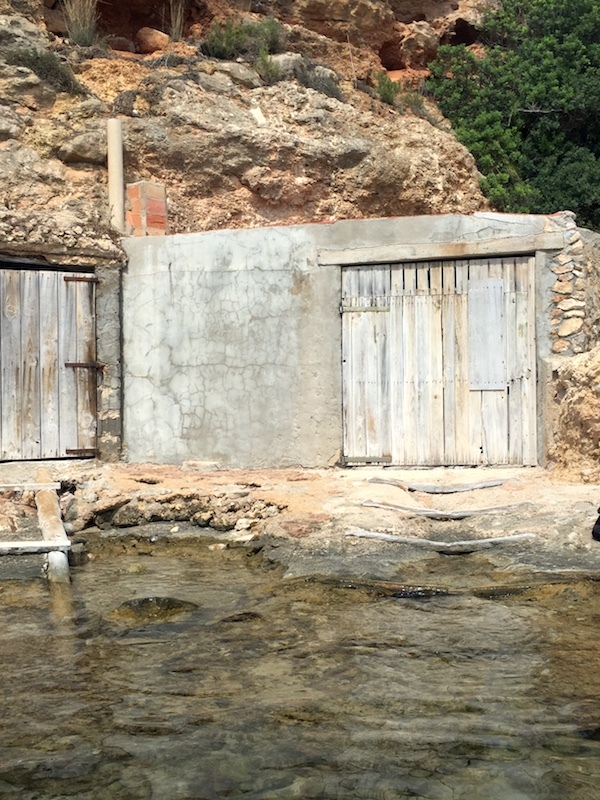 As promised I will share some of the beautiful beaches and places we visited with you, enjoy! After a few days of beach life a visit to Babylon Beach bar felt like pure luxury in an laid-back Ibiza style, soft beds by TineK home and cocktails and food served straight to your sun bed, just perfect if you are tired of lying on the beach. 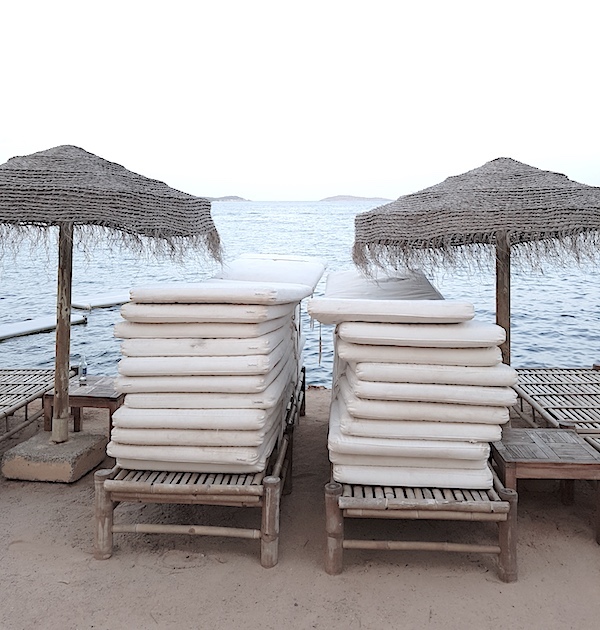 We combined this place with a day of work at Santa Eulalia, as we still wanted to catch some sun in the late afternoon, there is no beach here but there are two flying pontoons if you want to go in the water. La Granja is a private house and members club, in order to come to La Granja you would need to book a table for lunch or dinner. 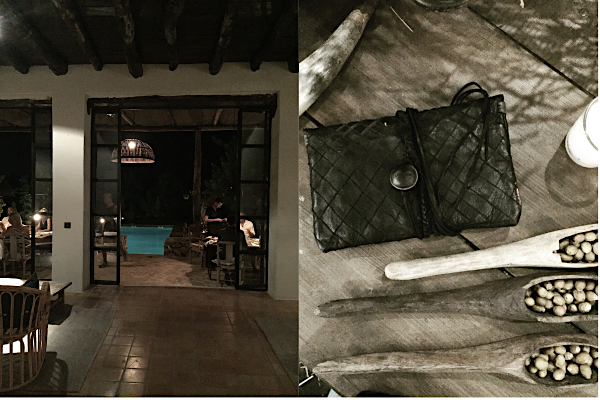 We were lucky to be invited for Friday drinks and spent the night around the pool in the garden that looked like a fairytale by night. It was such a pleasure to meet up with my friend Pablo here, who I hadn't seen since the Sunny Design tour two years ago. A great night with music and amazing fig cocktails. 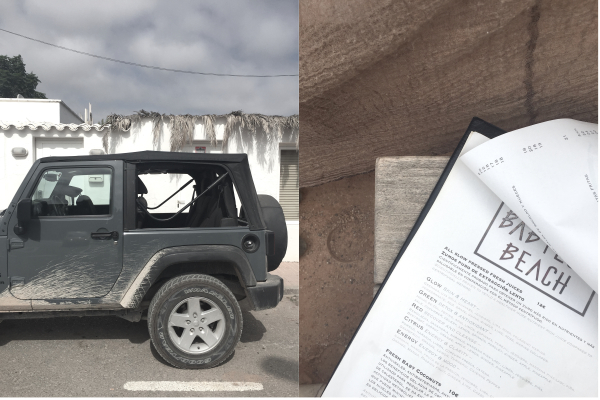 When driving up north Ibiza do not skip 'Los Enamorados', an initiative by ex-baseball player Pierre and Dutch Rozemarijn a former magazine editor. 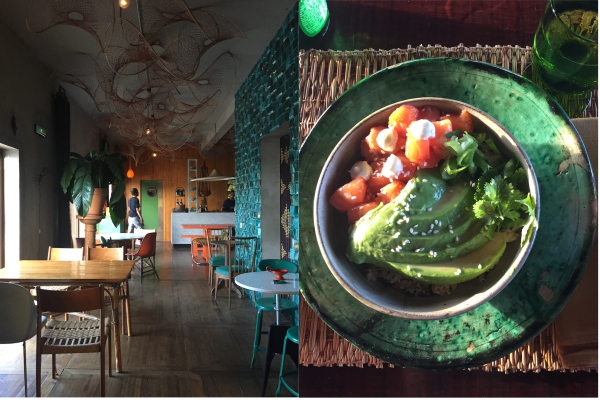 Los Enamorados is a restaurant, store, beach bar and hotel with nine rooms only. 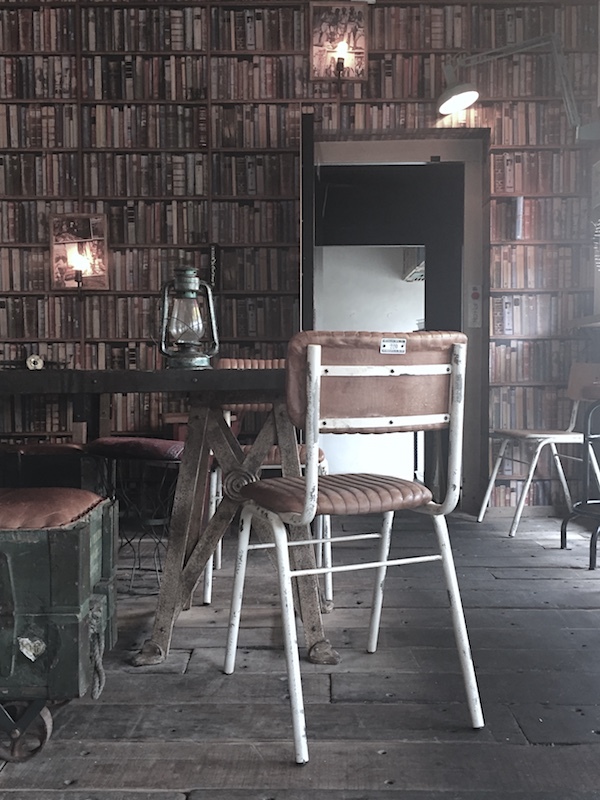 The staff is super friendly and there is a relaxing atmosphere, a great place to hang out and enjoy food and drinks. I had the most amazing dish, maybe even the best of my whole stay, the 'Poki bowl' with Salmon, sushi rice, nori and other flavours. It's as the website says: an unpretentious place where you can hang out, be yourself and enjoy. 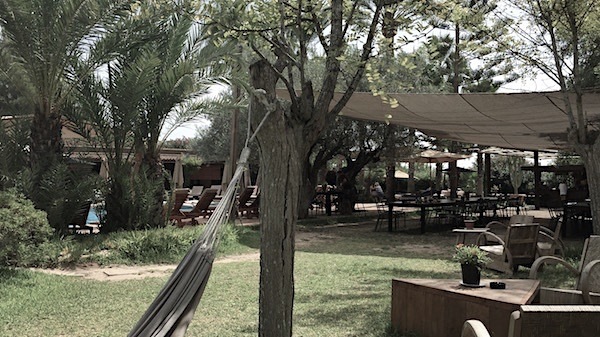 We probably had our longest breakfast at Raco Ibiza and spend over two hours in the relaxing garden. Behind the palm trees a few guest rooms are situated around the pool, that is private and adult only during the week. There is a restaurant as well and Sunday's are for families, garden parties and dj's. 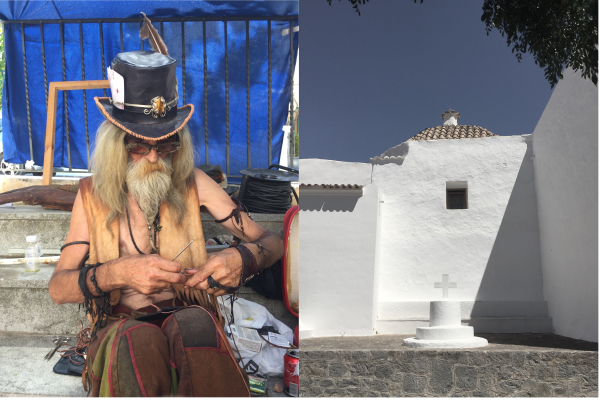 Sunday morning we spent at San Joan at the small and cozy hippie market at the main square near the church. A morning with music under the trees, craftsmen selling their work and lots of friendly encounters. I really loved Sant Joan, the market and the locals selling their fruits in the small streets around the church. Have a coffee at the small terrace of the Giri Cafe at the main square of Sant Joan and you are sitting front row to enjoy the music on Sunday morning. In the back of the cafe the garden offers lots of cozy corners including one for kids. What you might not notice directly is that just behind the square and a few steps from the Giri cafe, the Giri Residence is located in one of the striking white buildings. We were invited to come in for a sneak peek and I just loved the patio. 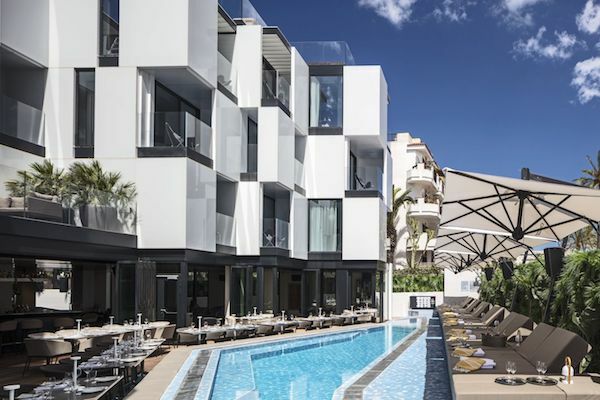 Totally different and overlooking the Old Town and the Ibiza marina IZAKAYA presents a modern Japanese cuisine with South American influences. 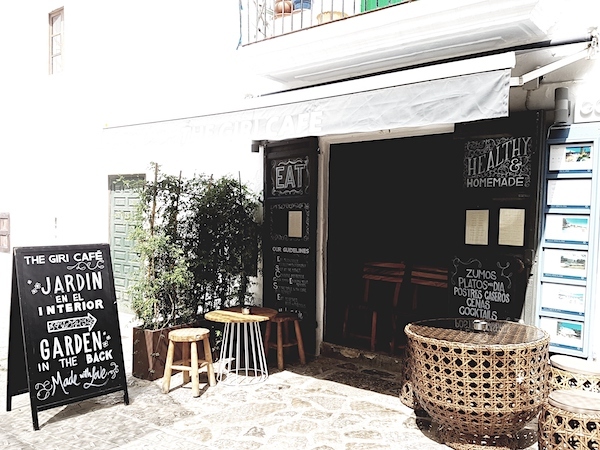 If you happen to be in Santa Eulalila, drop by at Boho House Ibiza, a small cafe with an industrial look and tasty fresh juices. I had a great risotto for lunch here, freshly prepared behind the bar by the super friendly staff. Probably the beach I loved most, the small Cala Gracioneta beach is surrounded by pretty boat houses and the atmosphere is absolutely friendly and not to busy. 'Sa Bresca' is the small bar - restaurant on the beach, perfect for a paella lunch with your feet in the sand, wealways found a spot here without reservations. Cala XularA beautiful hidden gem just of the road to Portinax only accessible by car after going down a small white road with limited parking space, at this beach people come and go and it was never overcrowded. There is a small restaurant on the beach, be sure to bring cash and reserve your spot! 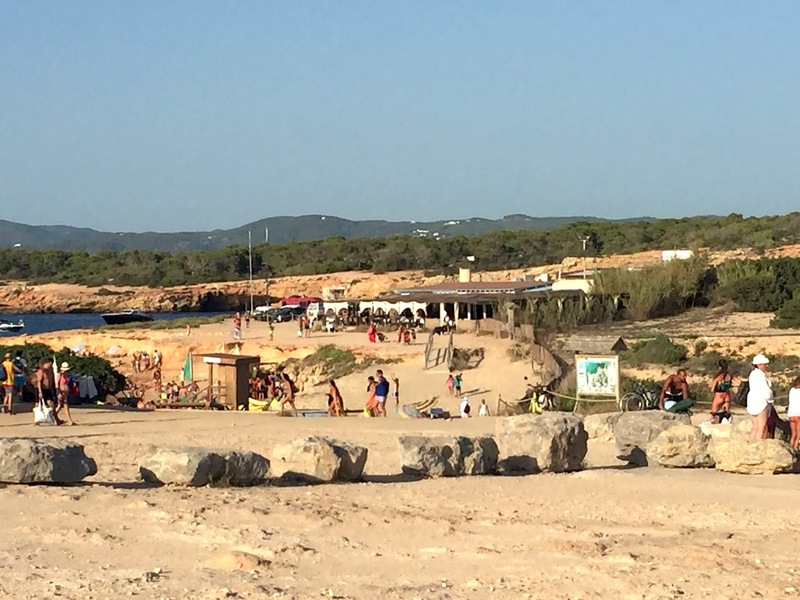 Located in the south, Cala Conta is known for it's amazing sunset. This beach was different from the others I visited, surrounded by sand dunes and rocky cliffs and a few small islands for the coast, there was a lovely soft sandy beach and crystal clear water. On top of the cliff you will find 'Sunset Ashram' a restaurant in pink stuc with a small shop. Although it is said to be a hidden gem it can be found in most guides, Utopia is a small bay just of the main beach San Miguel... walk to the left of the beach and follow the signs and climb the rocky path leading you to a small beach and bar - restaurant The beach is really small with just a few beds, we had a lovely late lunch at the restaurant.